Anne Phelps Dodge Herbert was born on March 28, 1931 in Colorado Springs, CO and died on July 16, 2015 in Mobile, AL after a long illness. She was the daughter of Mr. and Mrs. Stuart Phelps Dodge of Colorado Springs, CO. She was preceded in death by her parents, her two brothers Stuart and Peter and her first husband John Wesley Geary, Jr. She is survived by her second husband Donald Edmonds Herbert, Jr. to whom she was happily married for nearly fifty years and her daughters Hillary Herbert and Emily (nee′ Wason Geary) and her husband Victor Maskey of Mobile, AL a son John Wesley Geary, III and his wife Stacy (nee′ Hill) of Atlanta, GA and two grandsons Jack and Riley also of Atlanta. Bruce A. Yarber passed away on July 9, 2015 at the Holyoke Soldiers Home. The beloved husband of Suzanne (Patterson) Yarber, he was 85 years of age. Born and raised in Holyoke, Bruce was the youngest of three children born to the late Clifford Yarber and Ida May (MacMonegle) Yarber. 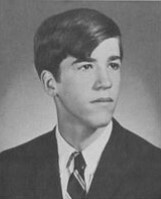 Bruce attended Holyoke schools until the eighth grade, when he went to the Williston School for Boys in Easthampton. He graduated from Williston in 1948. 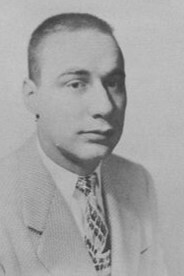 Following Williston Bruce attended Brown University, graduating in 1952. Upon graduation he enlisted in the United States Army serving during the Korean War. Robert M. “Bob” Laprade passed away on June 17, 2015 in Leeds, MA surrounded by friends. 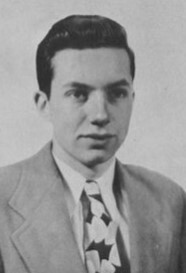 He was born in Easthampton, MA on June 22, 1924 to Peter Ovide and Aurore (Michaud) Laprade. He was educated in Easthampton schools, graduating from Easthampton High School and after service in the U.S. Army in WWII, he graduated from the Williston Academy. Robert graduated from the University of Pennsylvania, Wharton School of Business with a degree in accounting and received a Doctorate in Jurisprudence from Boston College. Robert lived for over 40 years in Washington, DC practicing law for the Securities and Exchange Commission, the Central Intelligence Agency and the U.S. Federal Court System. In 2009 he returned home to Easthampton. He is survived by his niece, Catherine (Kitty) Maxey and her husband Dee of Dallas, TX and many friends across the country. Robert was predeceased by his parents; sisters Georgette L. O’Connor and Pauline C. Jurkowski; brother-in-law Jerry O’Connor; and nieces Maggi O’Connor and Joni A. Jurkowski. Terry Barnum Light, of Vienna, VA, died on Monday, January 28, 2013 at Tall Oaks Assisted Living in Reston, VA.
Beloved husband of 49 years to Emily Pierce Light; loving father of Brig Joyner (Kagan), Thomas Barnum and George Allen (Sandra) Light and cherished grandfather of Kathryn Ann, Emily Jordan, Terry Travis, Mary Caroline, Halley Eliza, Ella Pierce and Tillery Evelynn Light. He is also survived by the greatest caregiver God could have sent, Teresa “Joy” Descalzota and a special daughter Kimberly Rodgers. 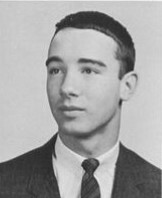 Terry was a graduate of Yale University class of 1958, served in the US Marine Corp 1958 to 1974. He left the military with the rank of Major. 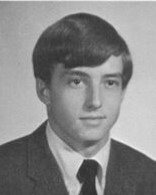 Terry was a graduate of Marshall Wythe School of Law (William & Mary 1970) and an Attorney from 1970 to 2006. He was an avid trumpet player and member of the Jazz Masters. Most importantly, Terry will be remembered as a great family man. He reached his goal of leaving his family better then he found it. The building performance industry has lost another friend with the passing of Bion D. Howard on 11/21/2011. Bion was a tireless advocate of home energy ratings and building science. His background includes service with the National Association of Home Builders, the Alliance to Save Energy, NAHB Research Center, the Environmental Protection Agency, the National Institute for Standards and Technology (NIST) and consulting as the owner of Building Environmental Scientist and Consulting (B.E.S.T.). Mr. Howard also served on the RESNET Technical Committee. Lydia May Gillespie, 52, died unexpectedly Friday, June 19, 2015, in her apartment on Pleasant Street. The cause of death involved gastro-intestinal bleeding which may have resulted in asphyxiation and/or cardiac failure. Lydia was a woman in long-term recovery who continued to take many medications over a long period of time, which her family believes caused damage to her body and may have contributed to her untimely death. Lydia leaves behind a brother Vincent Gillespie, presently of Greenfield, a number of other relatives, and many dear friends including Peter Hadley of Greenfield, and her longtime friend Lori Baeumler of Boston. Richard Wells Dennison, 68, of Vernon, beloved and devoted husband of Bernadette (Bean) Dennison, passed away peacefully Sunday, June 2, 2013 at home surrounded by his loving family. Born February 20, 1945 in Baltimore, MD, a son to the late Wells C. and Mildred A. (Elliott) Dennison, he had lived in Manchester before moving to Vernon in 2006. He was employed with Connecticut National Bank for 15 years and later worked with the Bank of Waterbury, Norwich Savings Society, New Haven Savings Bank and lastly American Savings Bank where he was Executive Vice President and Chief Informational Officer, retiring in 2003. He was a member of the Gilman Dive Club and enjoyed many years of scuba diving. He was also a member and past president of the British Iron Association of Connecticut, and was a collector of numerous vintage motorcycles. Richard was also an avid lover of Labrador Retrievers, breeding and competing in many agility competitions over the years. In addition to his wife, Bernadette, he leaves his loving daughters, Jennifer Case Dennison and her husband, John Fatteross of Westport and their children Jack and Will Dennison; and Abigail Case Lang and her husband, Dylan of Round Rock, TX; two sisters Carol Case Dennison and Lynne Steeves both of Old Saybrook; and among his many nephews and nieces he leaves Tanner Steeves and Julia Padilla. Peter Parkman Homans, 63, passed away on September 8, 2014, in Asheville, NC. He was the son of William P. Homans Jr, Esq. 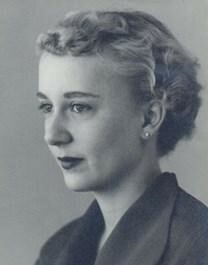 of Boston, MA, and Ann C. Beecher of Asheville, NC. He was the loving father of Alexander of Cambridge, MA and Savannah of Somerville, MA. Peter is survived by his former wives, Cathrine Saunders Scott of England, and, Leslie Ahlgren Homans of Cambridge, MA, the mother of his children. He is also survived by brothers William P. Homans III, Robert Totty and Nicholas Ionnitiu; and sisters Ann Bruce Totty, Elizabeth Homans McKenna, MD, Penelope Craig and Ana Ionnitiu. In addition he leaves behind many aunts, uncles, cousins, nieces, nephews and dear friends who knew and loved him. Peter was a warm-hearted, vibrant conversationalist and a brillant cook, who enjoyed nothing better than gathering friends and family around a gourmet meal. He loved walking the beaches of West Tisbury, hiking in the Smoky Mountains, or throwing turkeys at his local bowling alley. Although he spent over 30 years as a Boston-based securities adviser to individual and institutional clients, his true passion was music. He was a gifted musician and accomplished composer and all kinds of music infused his life.